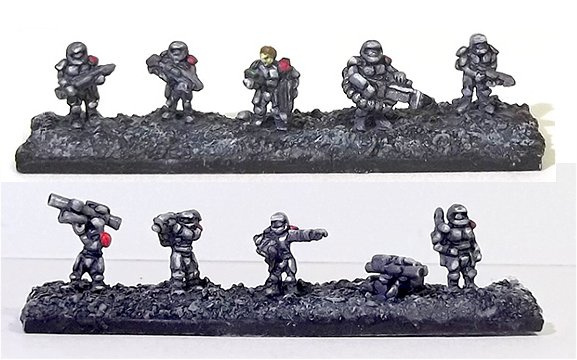 The Solar Empire Marines (SEM) are a line of 6mm Sci-Fi designs conceived by Gerard Goyette of Canada. He commissioned Michael Lovejoy of England to design them. Alien races are in process of design as well. These units can be used with several systems such as FWC, Plasmablast or Microworld to name a few. SEM-7 - Power Armor Inf.